John and Aruna Desai have truly had a lifelong partnership serving the Lord. From the time of their childhood, they were trained in the ways of God. They have used that training from their parents and the life-training that came directly from God to impact thousands of international students over their twenty-five years of ministry with International Students, Inc.
Born in India, John was the son of a Methodist minister. Raised in the teachings of Christ, John came to know Christ first through his family and Sunday School. As John grew, so did his faith. As an undergraduate in college, John recalls re-committing his life to Christ in a deep and personal way through the ministry of Union of Evangelical Students of India (Inter Varsity Christian Fellowship). That was 1963, and John has walked with Jesus ever since. Aruna was born in the same city Ahmedabad, Gujarat of India. She and John knew each other as children in the church as Aruna’s father was a lay-leader, the Pastor’s “right hand man.” Aruna attended college in India and also became involved with the ministry of UESI. As a senior, Aruna gave her heart to the Lord and has served Him ever since. In 1968, when John completed his graduate degree at the University and Aruna was pursuing her graduate work, God called them for full time ministry. They responded to that call and entered Union Biblical Seminary, Yavatmal. John and Aruna describe their story as somewhat unusual. It is often the custom in India for parents to arrange marriages. Neither John’s parents nor Aruna’s played any part in bringing them together. Said Aruna, “It was definitely the gift of the Spirit and the guidance from His Spirit. We prayed and just knew this was God’s will for uniting us. And that’s what happened on May 31, 1969. 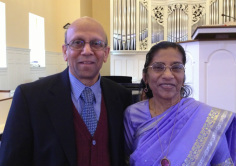 During the early part of their marriage, the first seven years, John and Aruna remained in India to minister the Gospel. In 1971, after completing three years of seminary studies they were invited to teach in Hindustan Bible Institute, Chennai. In 1972 Nagaland American Baptist Church celebrated their first centennial of the arrival of the Gospel and founded Clark Theological College. John and Aruna were pioneers for Christian higher education, particularly at Clark. Aruna was invited to be among the first teachers at the school while John was the Principal. It was a tremendous amount of responsibility for a young couple. It was during this time that the couple had to leave their daughter Eva with Aruna’s parents in New Delhi, giving them a deep understanding for the international students they would serve later in life who also had to leave children behind. John and Aruna were pioneers for Christian higher education, particularly at Clark, which was opened by the local American Baptist Church. Aruna was invited to be among the first teachers at the school while John was the Principal. It was a tremendous amount of responsibility for a young couple. In January 1975, John came to the United States to pursue graduate degree in the New Testament studies at Princeton Theological Seminary. This move would change their lives forever and give them an even greater empathy for the struggles of international students. John came alone and left Aruna and two daughters behind for fourteen months. He was under tremendous academic pressure and loneliness. After John’s first semester at Princeton, he went to Chicago to stay with a friend and look for a summer job. It was there that John first became acquainted with the ministry of International Students, Inc. Pastor Erwin Lutzer (Moody Memorial Church) who, at the time, was pastor of a small congregation introduced John to ISI staffs, Phil and Nancy Smick, and late Pearl Hintz. When he came into contact with ISI it was refreshing. Here was a group who cared for internationals. So he worked with them as a volunteer for that summer, learning from them what they were doing. John fell in love with the ministry. During that summer, ISI held it’s annual staff conference in Colorado Springs. John attended with other staff from the Chicago area. He was feeling a strong desire to go back to India. ISI invited John and Aruna to start Princeton chapter in February 1976. John heard and heeded God’s call to remain in the United States to minister. They believe in encouraging and equipping the students with whom they work today to return to their home countries or follow God’s calling. The family was separated for fourteen months until in February 1976, Aruna received her acceptance for the MA in Christian Education at Princeton Theological Seminary. It was these experiences, of being international students themselves and being separated for such an extended period of time, that ignited John and Aruna’s passion to minister to students. It still motivates them after twenty-five years. Even if the international student comes to the United States with an intact family, there are other hardships to overcome. John understands first hand what it is like for a leader from another country coming to the U.S.
Because many of the students who come to the United States to study are already leaders in some capacity in their own country, starting all over again can be difficult. Yet, that is often the in-road for Christians to share their faith. Participating in international student activities puts the international students in touch with so many others who are in similar circumstances. They find an immediate acceptance and understanding and are open to the Gospel. Even believers who come to the United States can become discouraged and lose faith because they are not befriended or understood by the evangelical community in North America. The early days of their ministry were filled with faith and a need to wait on the timing of God. John and Aruna had no other concept of what God was doing except that they were called into the ministry of International Students, Inc. .
Aruna recalled that “We were strangers with no financial backing. Somebody had given us five dollars for our first month in Princeton. That was the way we started. We prayed that God would give us a love for internationals and a compassion to reach the lost. We started with a small group—five who came faithfully for a Bible study. I remember John being on the phone to call churches and pastors to get them to understand the mission of ISI. It’s a lot of digging and hard work to prepare the soil. But God blessed us and He was directing us and we did reach people who stood with us in the beginning years, and who still stand with us after twenty-five years.” Many of John and Aruna’s financial and prayer supporters have been with them for nearly that entire time. When the ministry began, the main emphasis was on friendship families. John and Aruna matched international students with American families. Over the years the ministry has expanded through Garage Give Away, Monthly Friendship Dinners, Evangelistic Banquets, Picnics, International Women Bible Study, Multicultural Christian fellowship, International Christian Fellowship, 1-1 Evangelism and Discipleship, Holiday Conferences, English as a second Language and Personal English Practice. One of the most fruitful ministry is Personal English Practice. Many internationals are interested in improving their English, and spend one hour a week with a volunteer to focus on those skills. Through this friendship with a purpose, Christians can use the Bible or other Christian materials to work on English skills, and share their faith. John and Aruna also find themselves spending more time multiplying their work with the many volunteers they have recruited and trained. When asked about the number of volunteers currently working through their ministry, John replied “I can easily say we have about 500 volunteers from 40 different congregations. Last school year, we have about 1,000 students who have gone through Princeton ISI.” The Lord has blessed the faithfulness of the Desai’s work over these last twenty-five years. Though they have touched the lives of countless internationals, both John and Aruna recall some students who particularly have touched their hearts. Aruna recalls one girl from Nepal who came to Christ about fifteen years ago. Aruna had spent time witnessing to this girl, with no obvious results. Finally, it was time for her to return to Nepal, and she was spending her final overnight in the United States with John and Aruna. Aruna stated that “I had gone upstairs to pick up something and she followed me. We sat down and started talking and it led to her acceptance of the Lord. It was very unexpected since I had already witnessed to her.” Aruna loves to see God work in unexpected ways. John recalled a student from Ghana who was a visiting scholar at the Woodrow Wilson School in Princeton. The student became ill was depressed and without hope. Throughout their twenty-five years of ministry, the Desai’s have impacted the lives of thousands of international students studying at one of the most prestigious universities in the United States. They have seen many come to know Christ as their personal Lord and Savior. John and Aruna started with a simple vision—to obey God in reaching out to international students. They continue to have that simple vision for the future. What started as a simple obedience to His call has grown into a life-partnership in serving Christ, in multiplying their ministry through others, and in seeing the lost international students come to know Jesus and return home to serve him around the world. 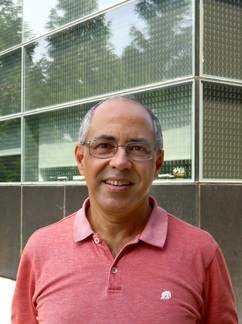 Dr. Hugo P Simao, Ph.D., Princeton University, 1987 in Civil Engineering and Operations Research. Research Staff, CASTLE Laboratory Lecturer, Operations Research and Financial Engineering, Princeton University. synthetic organic chemistry from Princeton University. graduation as a volunteer and supporter. Married to Eunjoo (Grace), father of 2 daughters. graduation as a volunteer and supporter. Married to Sarah father of one son and 3 daughters. graduation as a volunteer and supporter. Married to Marcia, father of 2 daughters. 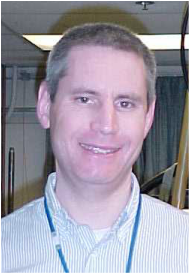 Late Dr. Douglass Darrow, Ph.D., Princeton University in Plasma Physics . graduation as a volunteer and supporter. On September 13, 2017 he entered in the presence of the Lord. He is survived by his dear wife Connie, daughter Janoah, sons Joshua and Richmond. Rose-Sophrinia Gbeu Brown Bickel (Liberia), holds graduate degrees from Syracuse and University of Louisville. She worked over 25 years at the United Nations Children’s Fund (UNICEF), She studies M.A. in Christian Education at Princeton Theological Seminary . Her husband's name is Samuel Bickel. They have three wonderful children, namely Colleen, Alexander and ChloeRose.